There’s an interesting article in yesterday’s Record about the debate concerning whether to clear cut trees in forests to simulate young-growth forests. 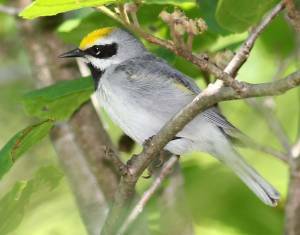 Supporters say the move will create a better habitat for at-risk species like the Golden-winged Warbler. Critics point out what they say are many flaws. The artricle centers on a proposed cutting plan in the Sparta Mountain Wildlife Management Area in Sussex and Morris counties. Read the stories here and here.